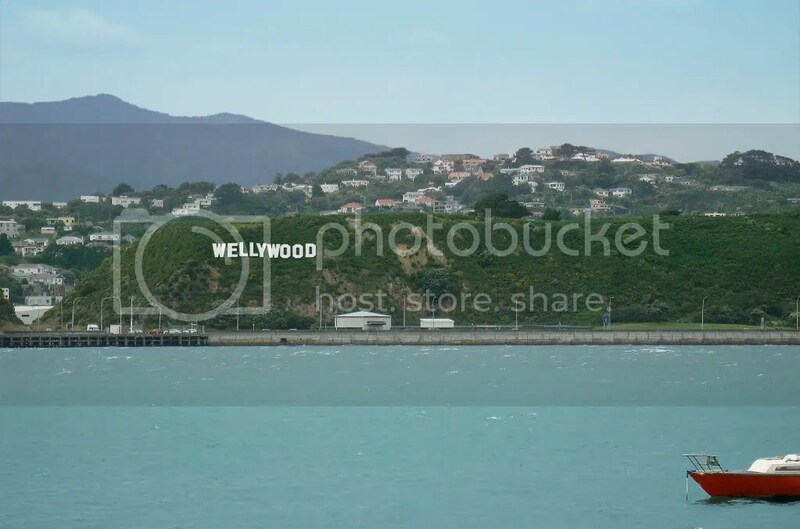 Our friend from Wellington International Airport Louise Murray just sent me an email regarding the plans to erect a Hollywood-style sign on the Miramar peninsula celebrating the location of the heart of New Zealand’s burgeoning film industry, "Wellywood". "Wellington Airport is a big supporter of the capital’s film industry. It’s a relationship that has steadily grown since the industry began to flourish around 17 years ago. "Convenient and affordable air links have enabled the world-beating Peter Jackson and Weta group of companies to reach the rest of the world," said Steve Fitzgerald, Wellington Airport CEO. The Airport is part of the film industry’s essential infrastructure; an international gateway for passengers and freight that the Miramar crew can quickly and easily access. And it works both ways; "a well-functioning, well-designed and conveniently located airport helps convey a sense of reassurance to creative professionals who venture to the other side of the world to make movies in Wellington," he added. No fewer than seven film-related companies are based on the Miramar peninsula, led by Weta’s diverse range of creative and technically excellent production workshops and studios. The film industry’s direct spend into Wellington’s economy is estimated at $285 million per annum1. "Wellywood will be rightfully recognised for what it is – an extraordinary contributor to Wellington’s identity, its economy, and more recently to its tourism industry," said Mayor of Wellington Kerry Prendergast. "The sign will be one of the first things people will see when they arrive in Wellington. They will be left in no doubt that this is the heart and soul of New Zealand’s film industry, and that the city is proud of its amazing achievements." Wellywood is an emerging tourist attraction. Film tours taking in the Miramar film enclave are extremely popular, with around 100,000 people through the Weta Cave in the last year. "The sign will help cement Wellywood’s place as an international tourism landmark, increasing both visitation and number of visitor nights in the capital," said Mr Fitzgerald. The sign, erected on the airport’s land above the Miramar cutting, will measure about 28m in length, each letter 3.5m in height. Mainzeal and Beca will begin construction of the sign offsite, with final installation expected in June.